Is Argentina looking for reconciliation with ISDS? For more than a decade, Argentina has been living in a permanent crisis, which affected all sectors of the economy and turned out in an avalanche of investment cases, many of them under the ICSID Convention. Thus, Argentina became one of the most active players in the investor-state dispute settlement system, facing almost 60 cases as respondent. Despite the number of cases and their result, Argentina built a quite negative reputation regarding compliance with the resulting arbitral awards. This circumstance created some tension between the country and the whole system. In 2013, Argentina surprisingly announced an agreement to pay five investment treaty awards, rendered in the arbitrations originally brought by CMS Gas (ICSID Case No ARB/01/8), Continental Casualty Company (ICSID Case No ARB/03/9), Azurix Corp. (ICSID Case No ARB/01/12), National Grid (UNCITRAL), and Compañía de Aguas del Aconquija SA and Vivendi Universal SA (ICSID Case No ARB/97/3), mainly related to the 2001 economic crisis. In 2014, Argentina also announced the settlement of the claim brought by Repsol (ICSID Case No. ARB/12/38), related to the expropriation of its shares in YPF, the largest oil and gas company in the country. Although these settlements improved the perception about Argentina, in reality, the overall situation did not change substantially. Actually, at the same time, there were rumors on Argentina’s possible withdrawal of the ICSID Convention, following the trend of other South American countries. Now, after more than a decade, the country is showing clear signs of turning into a new direction. In a quite short period the new government, led by the recently elected President Mauricio Macri, has turned around its foreign policy and alignments and is gradually gaining the confidence of foreign investors. For instance, the new Government allowed a mission of the International Monetary Fund after 10 years and re-shuffled its diplomatic relations with countries like the United States among others. Furthermore, the Government has adopted some concrete measures, which may have an impact on foreign investment. This includes the regularization of the official institution in charge of elaborating the national economic statistics, both at a micro (e.g. production capacity) and macro level (e.g. inflation, employment). This will provide a more realistic picture of the economic situation, which is critical for investors to build a long-term investment plan. Likewise, the Government has normalized, to a great extent, the currency exchange regime, which was one of the main aspects of the crisis. This is paramount for foreign investors, who ultimately look forward to transferring their capital to their home country. Although an absolute recovery of the crisis will inevitably take more time, this new attitude has sent a clear positive message about its will to welcome foreign investments. This is very important for various industries, but particularly for those that require cutting edge technology, such as the exploitation of natural resources (a concrete example are the shale gas formations of Vaca Muerta and Los Molles in the Neuquén basin). As part of its policy to get back to the global markets and in order to overcome the economic crisis, Argentina seems to have put investor-state dispute settlement on the agenda. In this sense, it has announced the settlement of the landmark Abaclat case (ICSID Case No. ARB/07/5), the first mass claim in ICSID’s history, brought by roughly 60,000 Italian bondholders and worth US$ 2.5 billion. Likewise, it has announced an agreement for the payment of the awards rendered in favor of UK investor, BG Group PLC (UNCITRAL), and US investor, El Paso Energy International Company (ICSID Case No. ARB/03/15). Nowadays, the new regime has announced the negotiation of potential settlements with other claimants, including the German investor, Hochtief AG (ICSID Case No. ARB/07/31). These steps taken by the Argentine Republic reveal the importance of arbitration in the field of investment. The intervention of an arbitral tribunal does not only entail rendering a final award over the dispute, but may also encourage the parties to reach an agreement, therefore balancing the interests of the host state and foreign investors. Following this wave of changes, on 5 July 2016, Argentina appointed three new members to the ICSID panels of arbitrators and conciliators, Diego P. Fernández Arroyo, Mónica Pinto, and Mario J. A. Oyarzábal; and has also re-appointed Raul Vinuesa, who was already listed in both panels. All of them are Argentinian nationals and prestigious professors of international law. Fernández Arroyo is a professor at Sciences Po Law School in Paris, who focuses on dispute settlement, international law, and comparative law. He is the current Secretary General of the International Academy of Comparative Law, a member of the Curatorium of The Hague Academy of International Law, and representative of Argentina at the UNCITRAL Working Group on Arbitration. Pinto specializes in Human Rights, she is the dean of the University of Buenos Aires, and she sits at the administrative tribunals of the World Bank and the Inter-American Development Bank. Oyarzábal is Legal Adviser of the Argentine Ministry of Foreign Affairs and has served as Deputy Consul, and as Deputy Permanent Representative before the United Nations Security Council. Vinuesa teaches at the University of Buenos Aires, he is a member of the Permanent Court of Arbitration and has served as judge ad-hoc of the International Court of Justice. The steps taken in connection with the existing disputes and the recent appointments are quite significant and show that, among other things, investor-state dispute settlement is on the government’s agenda. Hopefully, this attempt to reconcile with the investor-state dispute settlement system will be successful and represent the start of a fresh relationship. Having still some ongoing cases, Argentina will have chance to prove whether this new attitude is genuine. Last but not least, the new Government is also focusing on improving the legal framework on commercial arbitration. One of the last measures taken by the previous Government was the enactment of the Civil and Commercial Code, which contains a specific regulation on arbitration. Even though the UNCITRAL Model Law was one of its sources, such Code contains some highly questionable provisions (see here). 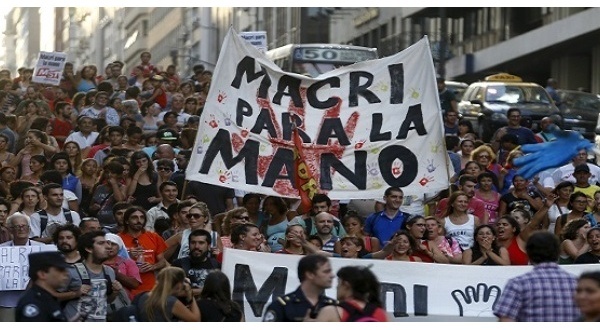 For instance, despite not being clear, it intends to restrict the possibility of the State to be subject to arbitration, allegedly to strengthen the position of Argentina before investment tribunals (despite its non-applicability to investment disputes). After all the critics made to the Civil and Commercial Code, and in line with its intention of attracting foreign investments, the new Government has recently presented a draft of a special arbitration statute, modeled on the provisions of UNCITRAL Model Law. It is yet to be seen whether this attempt will successfully pass through the National Congress, but it already shows the country’s will to reconcile with arbitration as a dispute resolution mechanism.